Click Pieces in the left-side menu. 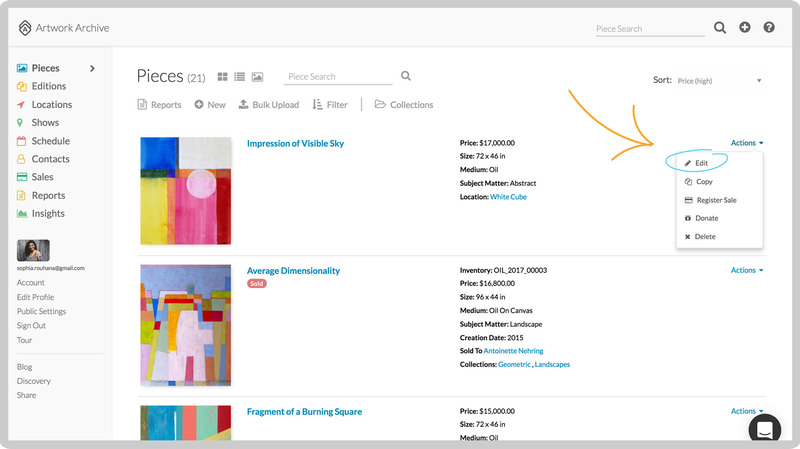 If you are list view, click on Actions to the far right of the piece and select Edit from the drop-down menu. If you are on tile view, click the thumbnail and select edit. Add in the new information and click Update Piece. Click Pieces in the left-side menu. 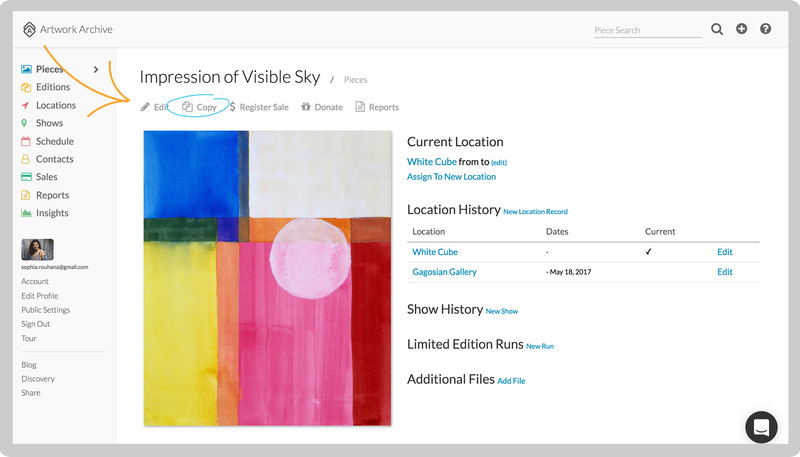 Click on Actions and select Copy from the drop-down menu. Click Ok from the Dialog box. Click Pieces in the left-side menu. Click on Actions and select Delete from the drop-down menu. Click Ok from the Dialog box.